John’s Note: Quite possibly the most-versatile bass lure ever created, the plastic worm belongs in every angler’s tackle box. His daddy was oil. His mother was heat, and his mentor was a fisherman. He swam into the world of bass fishing years ago and left such a definitive mark on the sport that no angler would consider searching for bucketmouths without him. Many sportsmen believe he is the most lifelike bait around, and some say he has the most action of any lure. 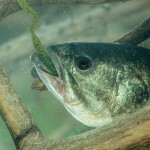 And most agree that when bassing is tough, the plastic worm is the weapon on which you can rely to catch bass. Study these tactics to learn more about how the worm is bringing bass to the boats for the pros. When the bass are in shallow water and want to take a soft surface lure, the swimming worm is hard to beat for productivity. Many anglers fish the swimming worm on 10 to 12 pound test line and rig the worm Texas style without a bullet sinker. However, you can’t cast the bait as far this way, and you don’t have as much control over the lure as you do with the small weight on the front of the bait. 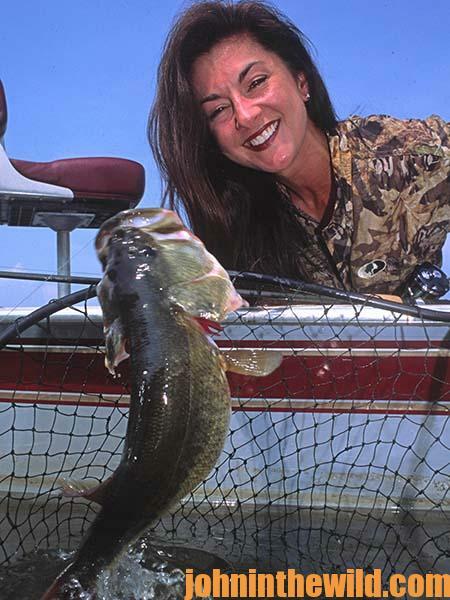 By holding the rod tip high, an angler can cast a worm rigged Texas style close to or right up onto the bank or in the water weeds and swim the bait slowly on top of the water – even if the bait has a small lead in front of it. 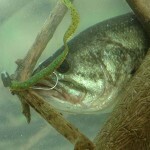 The biggest problem in catching bass with the swimming worm rig is that most anglers react to the sight of the bass. They look at this rather then to the bite of the fish. When you see a bass coming after a lure just under the surface, a natural instinct causes you to want to slow the bait down, so the fish can take it. However, that slight interruption in action often will spook a bass and cause it to flare off, rather than taking the bait. 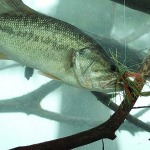 When you spot a bass coming toward the plastic worm, continue the retrieve at the same rate of speed. 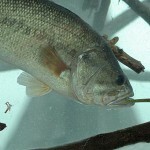 A bass can catch a bait as fast as you can reel it. 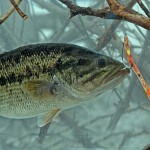 Many times if the fish thinks the bait is escaping, it will become more aggressive. 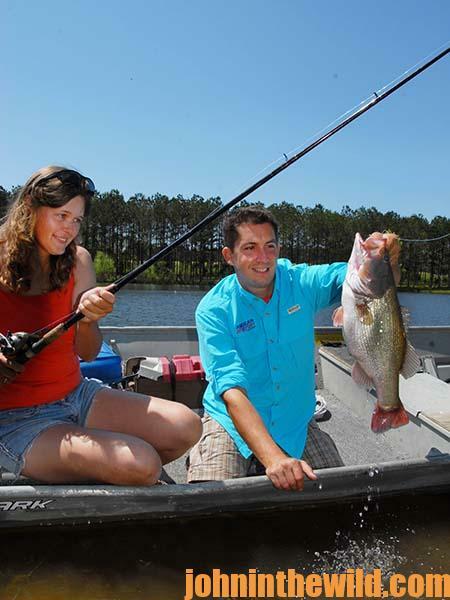 Another problem with slowing the bait down when you see the fish is that often the bass’s timing will be interrupted. The fish may end up either in front of or behind the lure, if the rate of retrieve is speeded up or slowed down. Yet another difficulty with angling the swimming worm is when to set the hook. Reacting to an explosion on the water and setting the hook when you see the splash and hear the racket is easy to do, but many times the bass won’t have the lure in its mouth. A more-solid hook set usually will result when you wait to feel the bass on the line before you set the hook. That 2 second wait takes nerves of steel and may require several years of practice. However, this kind of hook set will result in more bass in the boat after a day of fishing the swimming worm. A tactic that works extremely well when worming on top is to buzz the swimming worm. 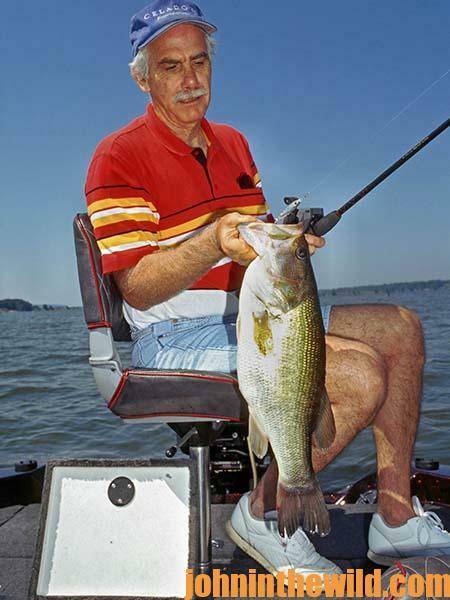 The late Tom Mann of Eufaula, Alabama, one of the nation’s first professional bass fishermen, once told me, “I cast a worm out to a weed line and swim it quickly through the weeds. I even may skip the worm through the weeds. 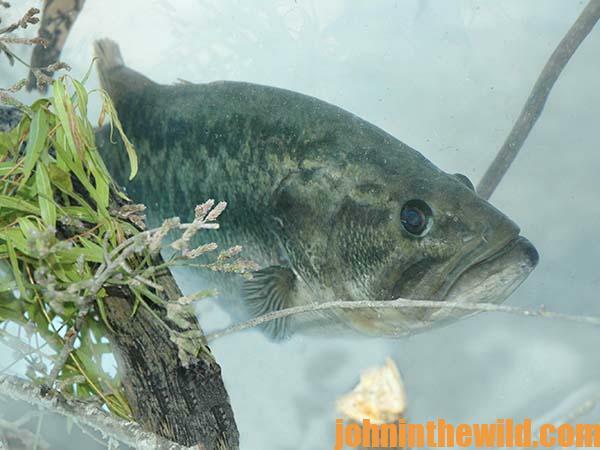 This racket on top of the water attracts the bass’s attention, and many times the fish will chase the lure. 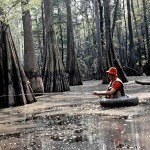 To get “How to Win a Bass Tournament: Personal Lessons from 8 Pro Bass Fishermen,” “Reelfoot Lake: How to Fish for Crappie, Bass, Bluegills and Catfish and Hunt for Ducks,” “Catch the Most and Biggest Bass in Any Lake: 18 Pro Fishermen’s Best Tactics” and “How to Bass Fish Like a Pro,” click here.